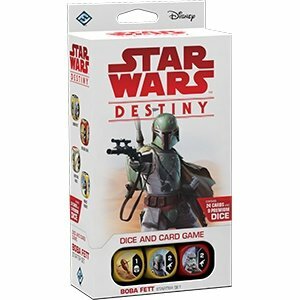 Hunt your target with the Boba Fett Starter Set for Star Wars™: Destiny! The set lets you take control the infamous bounty hunter Boba Fett as well as a veteran Stormtrooper of the Empire. 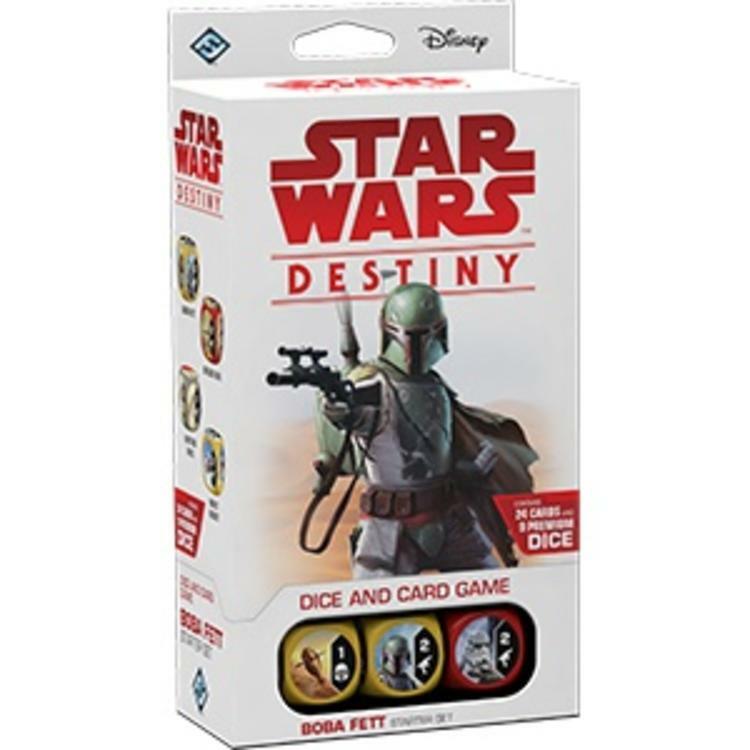 With twenty-four cards and nine dice, the Boba Fett Starter Set contains everything you need to start your journey into Star Wars: Destiny.